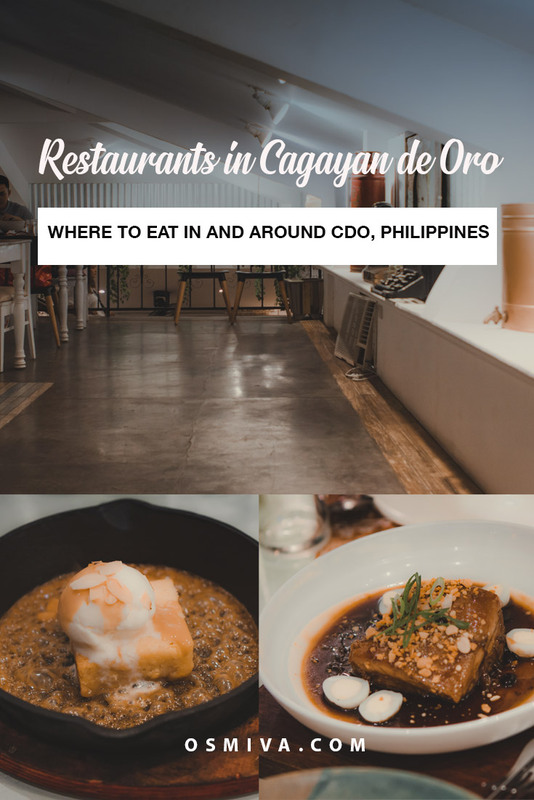 A trip to CDO in the Philippines isn’t complete if you don’t get a chance to visit at least one of its popular and delicious-serving Cagayan de Oro restaurants! 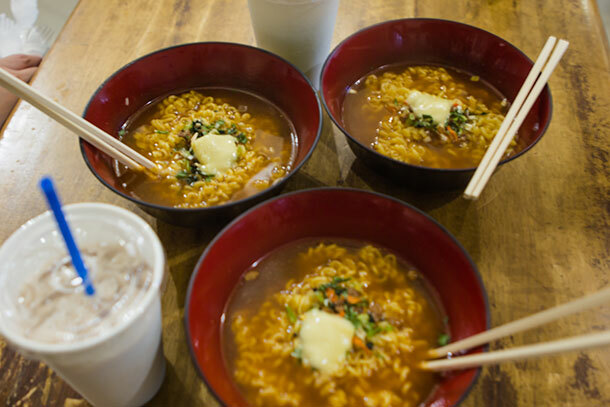 We all want to taste some authentic food when we travel. And we were pretty much excited to look for delicious dishes when we visited Cagayan de Oro recently. The trip has been planned for weeks… All except for restaurant hopping in the city. 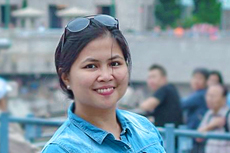 I was glad that our friends were game to look for the best restaurants in CDO too. Eating out and trying out some amazing dishes is great especially after a day of fun. And that was what we did most of the time! I’m pretty sure we did miss some. But I was glad that we found some truly great restaurants in CDO despite the limited time. 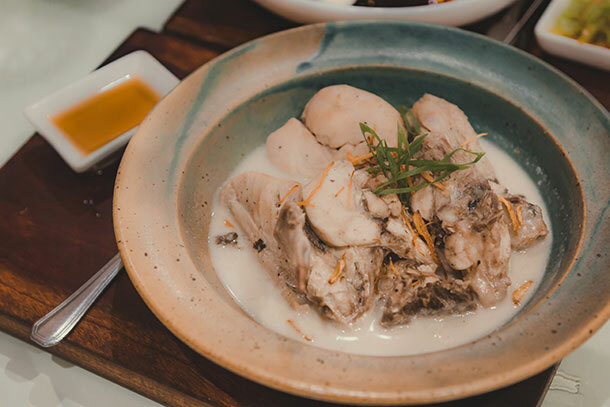 If you are also heading to this great city, I recommend you take the time to explore various Cagayan de Oro Restaurants and fell in love with the variety of dishes and flavours! 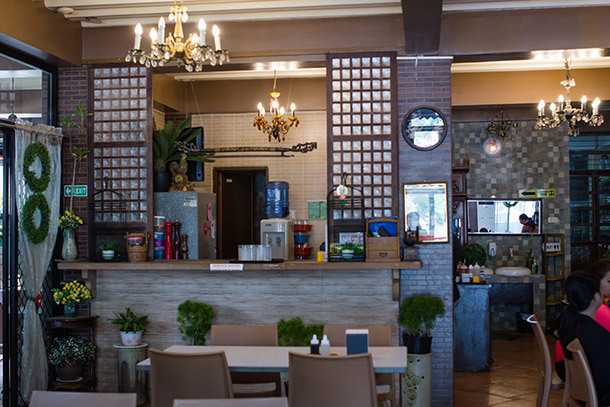 Here’s a list of places to eat in and around CDO! 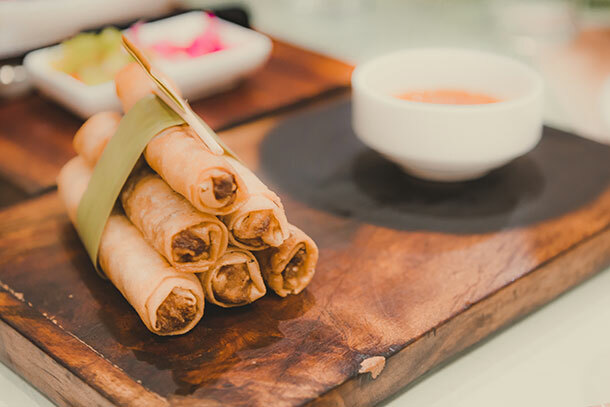 We visited CDO for a couple of days and got the chance to try these three amazing restaurants. 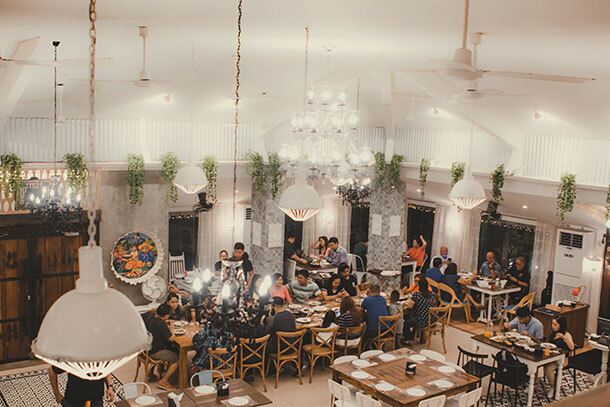 The 31st Bistro is located at the Lifestyle District, just within the area where Bed and Breakfast by Budgetel are located. We had our Valentine Dinner here and the place was almost full by the time we arrived. The bistro has a casual and modern ambience that is found in most restaurants. We were seated near the glass windows on the high-stool chair. They had some valentine’s special when we arrived and gave out desserts for couples. We liked the Baby Back Ribs (which is one of their speciality), Roasted Pork Loin Chop and the Oreo Cream Cake that they served for dessert. How To Get Here: Ride a tricycle to take you to the Lifestyle District. Fare varies depending on the price of the gasoline. You can easily check out the fare matrix on the tricycle itself. This one right here completely took my heart (and my taste buds!). Cucina Higala prides itself for being one of the best restaurants in the city. And it is easy to see why. 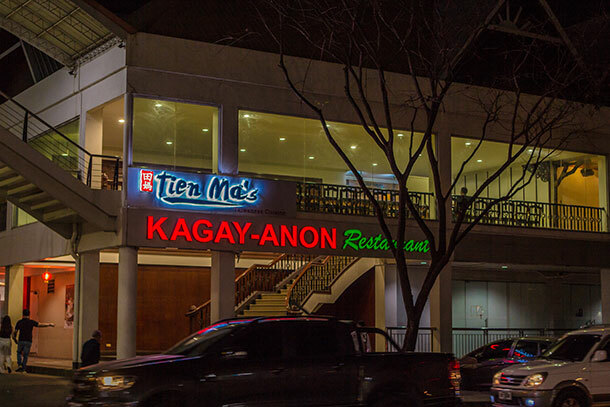 This Cagayan de Oro restaurant is famous for its excellent food and good restaurant ambience. The restaurant is located in a home-like structure with a parking lot and a garden with picture-worthy spots. It was late when we arrived at the restaurant but there were still plenty of locals dining inside. They have a second-floor with a balcony overlooking the rest of the space. We settled in the table near the stairs and admired the homey and fun ambience of the establishment. We ordered some viand, platter of rice and sizzling binary (a local delicacy, served with ice cream and on a sizzling plate). All the food were pretty delicious especially their lumpia (spring roll with pork) and humba (a delicious pork stew that is sweet, sour and salty). 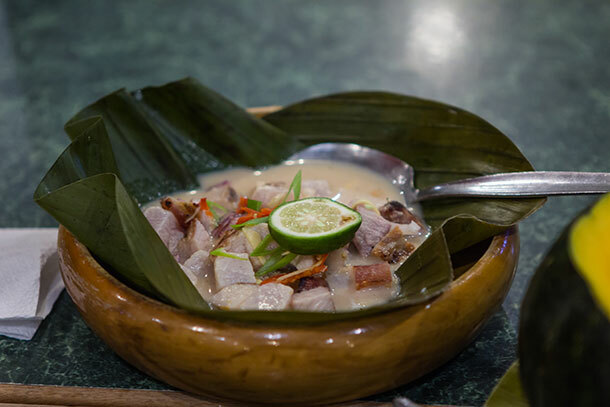 The chicken surol is also a tasty CDO dish that you’ll love to try. It’s a chicken soup dish of native chicken cooked in coconut milk. You should also try to order their Magic Potion and see the magic! 😉 The baked brownies are great for pasalubong too! We actually went back on the day of our flight back to Cebu to buy some to bring home. We were pretty impressed not only by the food and the service but also with the interior. The management has indeed made an effort to impress guests. The restroom (which is often overlooked by most restaurants) is impressive too. It reminded me of the unique and homey restrooms at the Kalui in Puerto Princesa and Hidden Garden in Vigan. 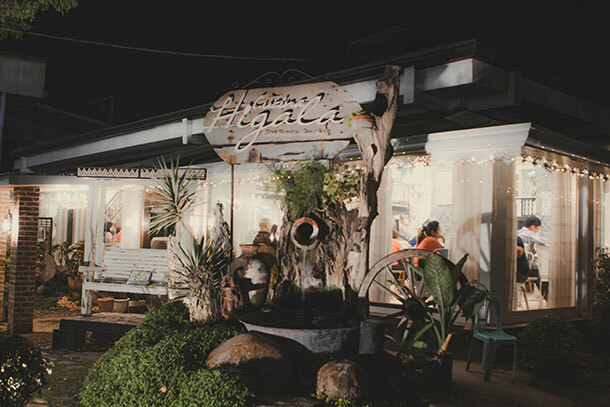 How To Get Here: Ride a tricycle to take you to Cucina Higala. Fare varies depending on the price of the gasoline. You can easily check out the fare matrix on the tricycle itself. We were referred to the Kagay-anon Restaurant by our guide during the Whitewater Rafting in CDO. He knew we were looking for some great place to eat while Cagayan de Oro. We were supposed to visit Larry’s Hill and Sierra del Oro in the afternoon and eventually have dinner there. But we were all super tired and just decided to sleep after being dropped off to the hotel. We left New Dawn Pensionne House at around 7 PM and went to explore a bit. Our feet (and tummy) eventually led us to the Limketkai Center. 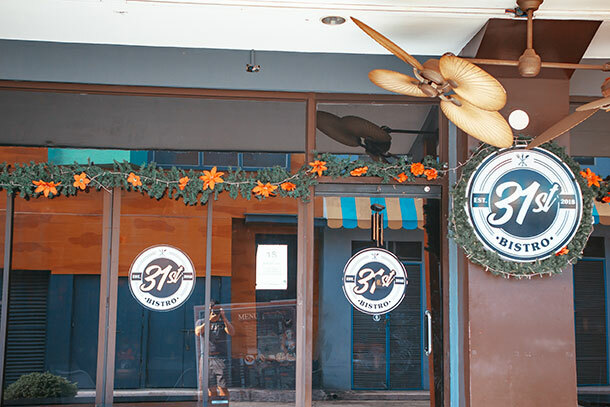 This is the major landmark that you need to get to reach this recommended restaurant in Cagayan de Oro. There is a rather formal and traditional ambience to the restaurant. It was around 9 PM when we arrived so the place was almost empty except for another group halfway through their dinner. We ordered some viand and rice and finally settled down to wait for the food. Food presentation-wise, Kagay-anon Restaurant took us by surprise. The rice was packed in individual banana leaves. I rather liked how the pinakbet (made from mixed vegetables steamed in fish or shrimp sauce) was served. It was placed on a whole squash that served as its bowl. The rest of the viand were placed on wooden plates with banana leaves at the centre. The sinuglaw (composed of grilled pork belly and fish ceviche) was also tasty as well as the tuna belly. How To Get Here: Ride a jeep going to Limketkai Center. We took the jeep from Divisoria CDO. The fare was at 8 Php per head when we went to visit. 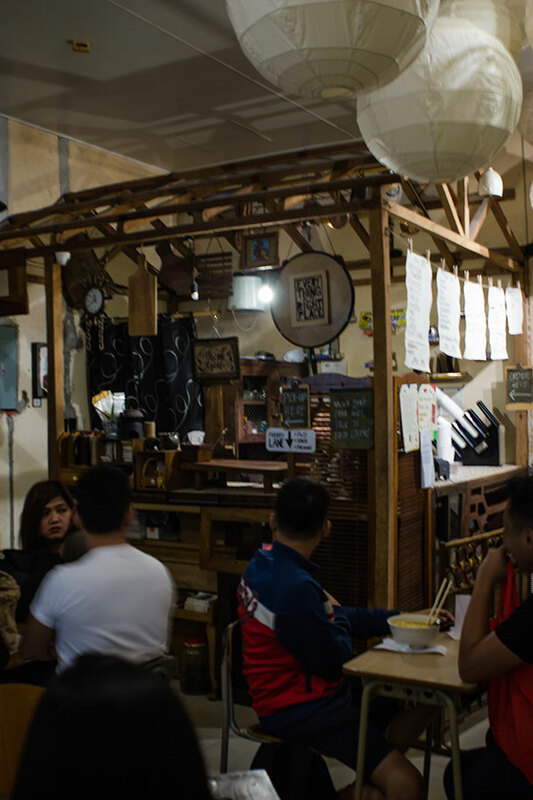 Chinkee Tea is a home-grown milk-tea shop in Cagayan de Oro that is well-loved by the locals. 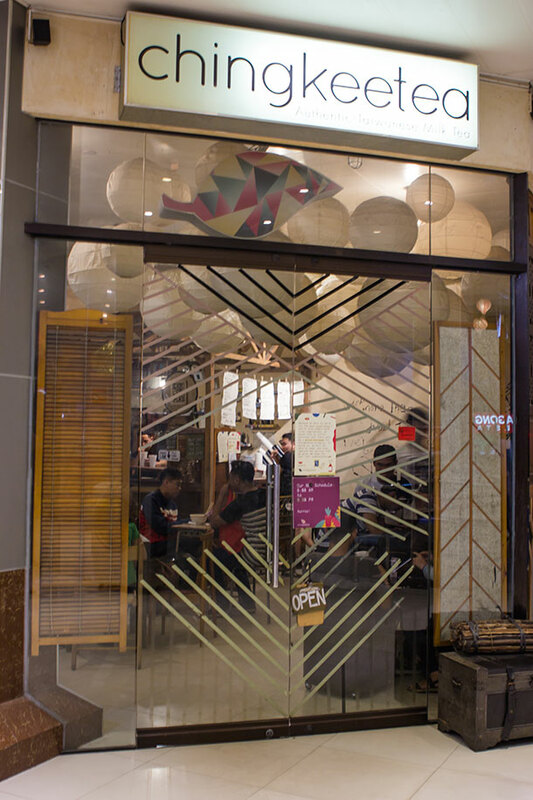 It’s technically not a restaurant but a milk-tea shop. But I have just included them on this list. They don’t have much food on the menu but I rather enjoyed the friendly and chic vibe of this food stop. Most locals that you will see eating here are of the younger generation. And all of them will be sipping on milk tea and pairing it with ramen. We rather enjoyed this combination too when we tried it. The food was tasty and was not heavy to the tummy. There was a band playing at the building where the shop was located, so if ever you visit, there are some great night scene here too. 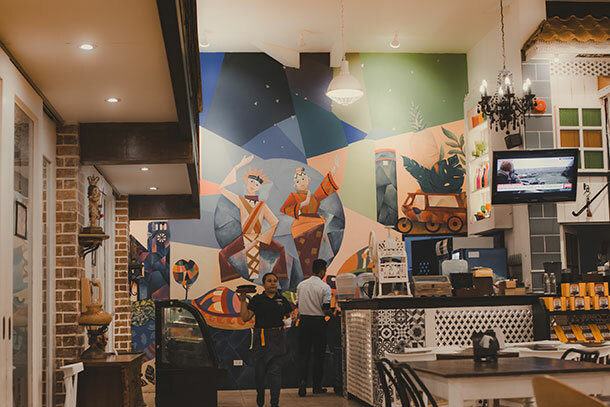 The Chingkeetea has several branches in CDO, so you can definitely check them out at the Grand Central, Pabayo Street and at Velez corner Gaerlan Street. We had our late lunch at Gracia’s Fastfood after our Whitewater Rafting. 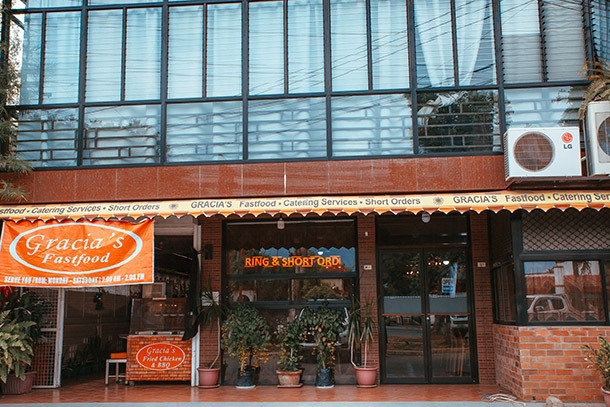 Gracia’s is one of the long-renowned caterer and canteen concessionaire in Cagayan de Oro. 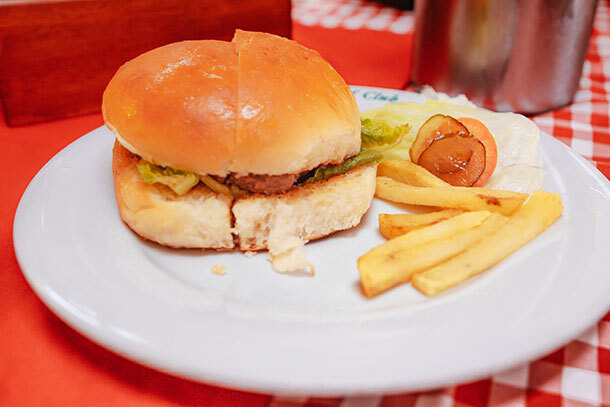 They are popular for their delicious homemade and affordable food. The ambience is casual and had a nice woody interior. It was homey and relaxed, a good place to eat. Despite being fast food, the food served was delicious and filling. Part of our meal was Pancit Bihon, Fried Chicken, Humba, Rice and Banana. They also have a Diner in Masterson’s Avenue, Cagayan de Oro. How To Get Here: To get here, you can ride a jeep going to the SM CDO. We had our service jeep with us so getting there was easy. We visited the clubhouse when we visited the Dahilayan Adventure Park and Forest Park. 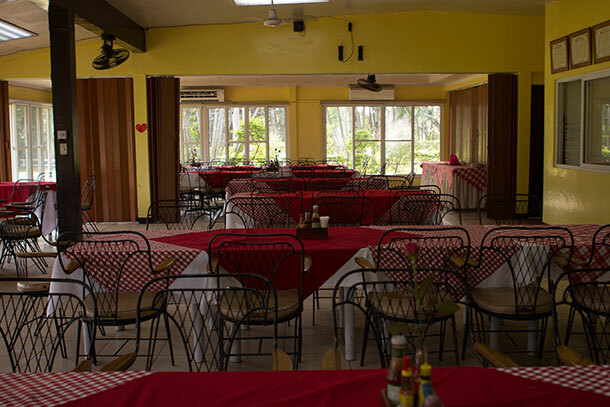 Both were located in Bukidnon so it was a restaurant that we knew we need to visit. They say that the beef served here are fed with pineapples (which is one of the main product of Del Monte) so we were pretty curious about that. LOL. Upon arrival, you will feel the exclusivity of the place. 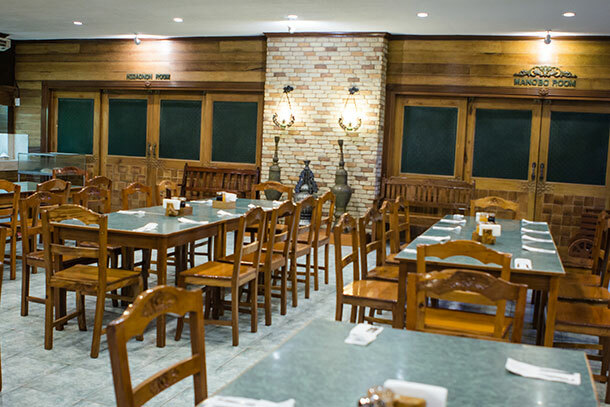 The restaurant is a bit old with traditional tables, chairs and overall set-up. It was spacious with large windows that give you a sprawling view of the golf course. While the salad I ordered was not the usual as it was served with ketchup instead of the usual salad dressing that I am used to. The combination was rather sweet and sour at the same time. 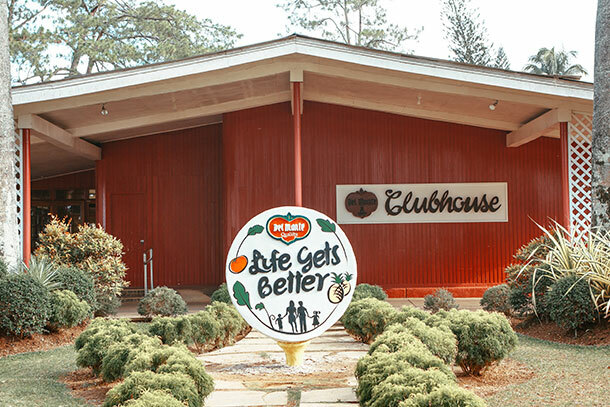 How To Get Here: To get here, you can ride a habal-habal to take you to the clubhouse. We had our service van with us so getting there was easy. Finding good restaurants when we travel is a great way to remember places: that much I know. We were never really planning to try out restaurants in Cagayan de Oro. But because we did, we found some great food and fond memories too! Have you been in this part of the Philippines? What are your recommended best restaurants in CDO? Share it with us! Write it on our comments below! I love this food tour. CDO sounds like a beautiful region. The pinakbet look particularly interesting. I wonder if you eat the squash or just let it flavor the ingredients in the bowl. Looks like a very delicious part of the world! I totally would order the magic potion! And anything with pancit noodles! Cows fed pineapples and salad with ketchup? Interesting…. Sure, I’d give it a try. All the food on your photos look so delicious and beautiful! 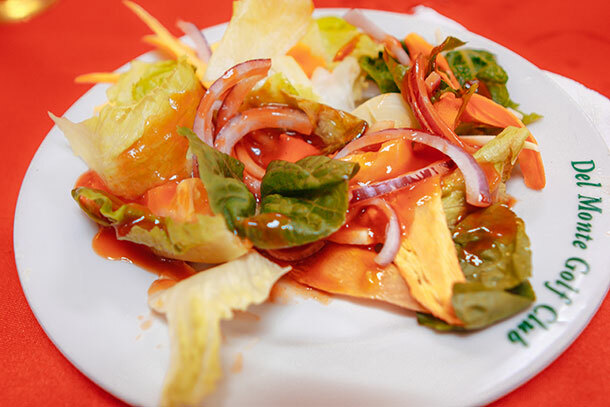 We would love to try the sinuglaw and some other dishes with pineapples! Can’t wait to eat at these restaurants when we visit the Philippines someday! Oh.. all this looks so fresh and delicious! I think the chicken surol at Cucina Higala would be my first pick followed by the colourful and amazing presentation of the pinakbet! So many fresh vegetables. Thanks for the useful info! Thanks for the delicious tips. I like it a lot when I’m on the lookout for food tips from other bloggers. So I have often discovered great restaurants. I will remember these tips in any case! 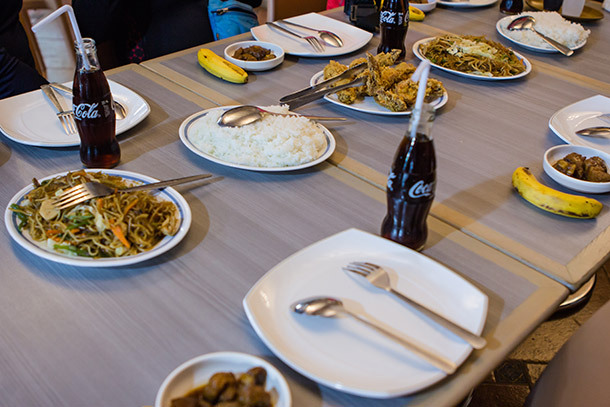 Food is always a great way to get to know a city, and that especially seems to be the case in Cagayan de Oro. There is such a wide variety, and your photos are amazing! 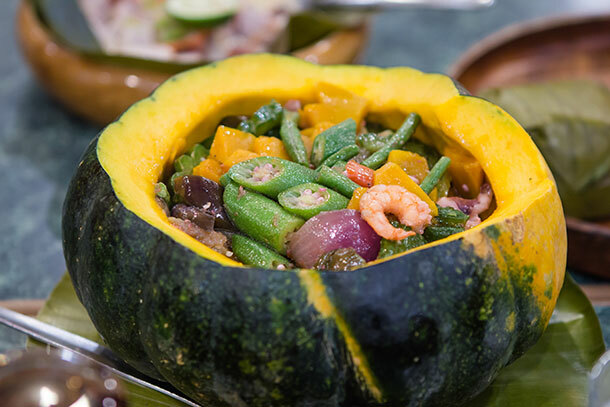 Cucina Higala looks stunning, and the pinakbet from Kagay-Anon looks truly delicious! Looks like there’s a wide diversity of cuisine available in Cagayan de Oro. The food at Cucina Higala looks yummy, as does Kagay-Anon. I LOVE Filipino dishes like pinakbet.